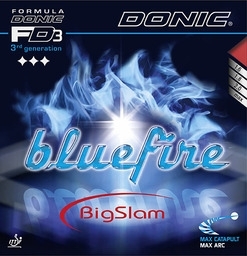 For all those who loved and have never forgotten the sound of the old speed glue time, there is now the new Bluefire Big Slam. Extremely soft blue sponge and high grade grippy and spinny top surface. Recommended for all round players who like a spiny rubber with lots of control.